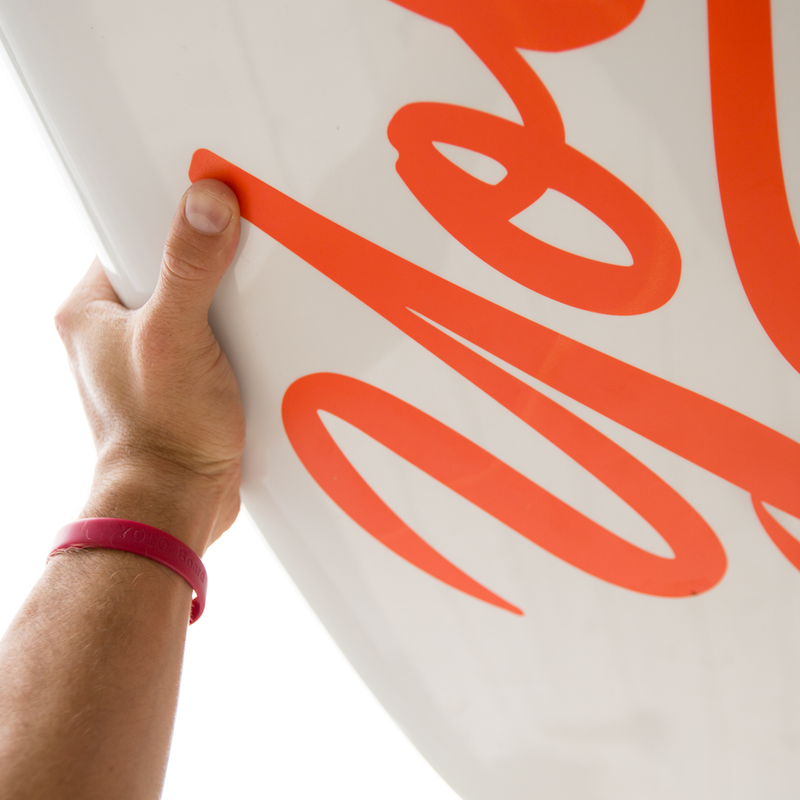 • YOLO thermo-mold construction: an ultra-durable SUP board that's also lightweight! • Lightweight: weighs only 31 lbs. • Integrated bumper guard for SUPerior protection against rail wear and tear: Protects your stand up paddleboard at it's most vulnerable point. • Easy To Paddle: A great all-around board for beginners & intermediate paddlers! • LiftSUP handle for easy transport! Lightweight + durable + great price = the YOLO Hammerhead! The Hammerhead is a traditional fiberglass Stand Up Paddleboard with an EPS foam core wrapped in an ABS thermo-formed plastic. A tough band covers the rail seams and serves as extra protection to prevent damage from the paddle blade. These YOLO Board SUPs are built to last at a great price! This year, we've added slightly more volume and a LiftSUP handle. The YOLO Board Hammerhead is a game-changer in the industry, perfect for the rental market or anyone tough on their equipment. A built-in bungee system makes carrying cargo a cinch. Resistant to the elements, dings, and scratches. Added protection for board rails.